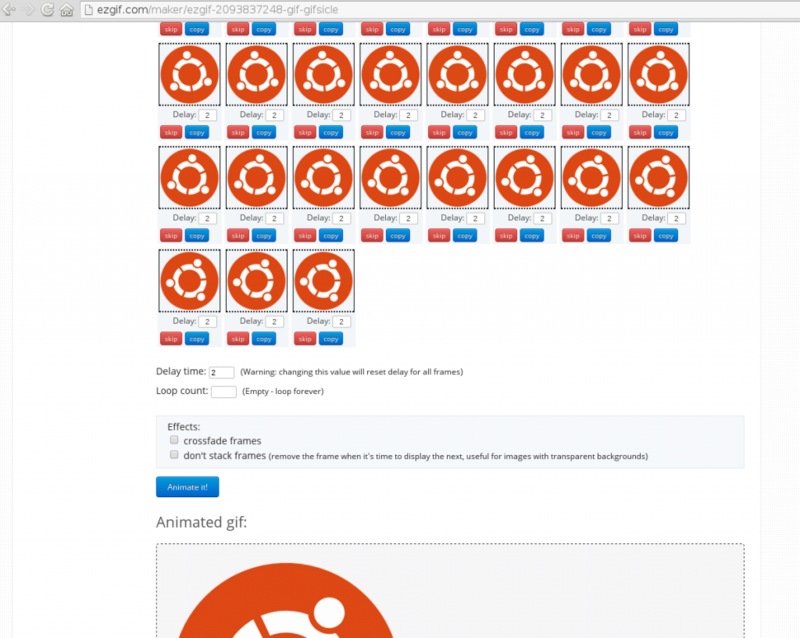 There are couple of different ways how you can make an animated GIF. You can either use multiple images and combine them together as a GIF animation (it can be hand draw frames, edited images, photos), or convert a video (or part of it) to GIF. 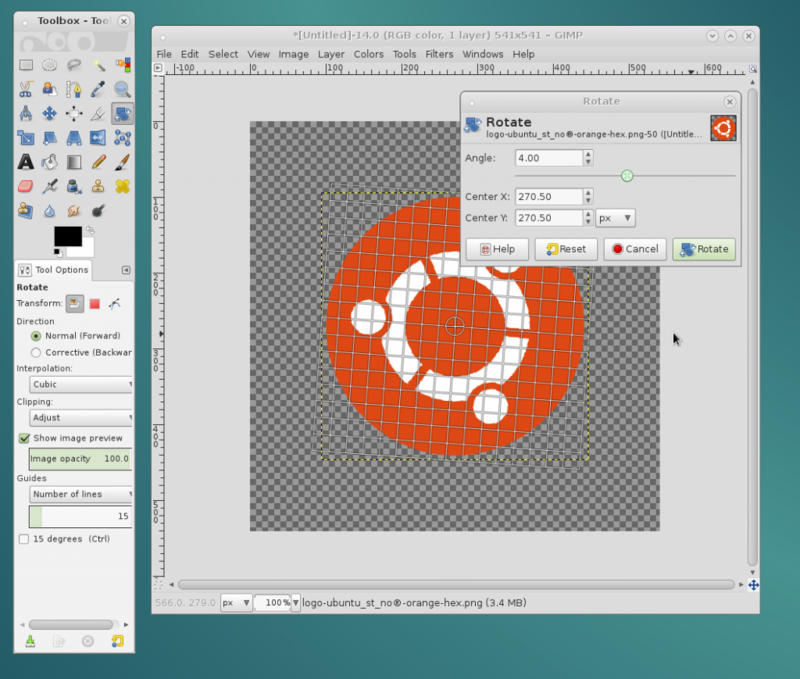 Lets use this Ubuntu logo and create a rotating GIF version of it. I saved each frame as a png image with file names in alphabetic order adding the number of rotation degrees to the end of file name. This way I will avoid having to manually sort them later in the GIF creator. Then I went to https://ezgif.com/maker GIF maker, uploaded all the frames, set the delay time parameter to 2 (hundredths of a second) and clicked the “Animate it!” button. 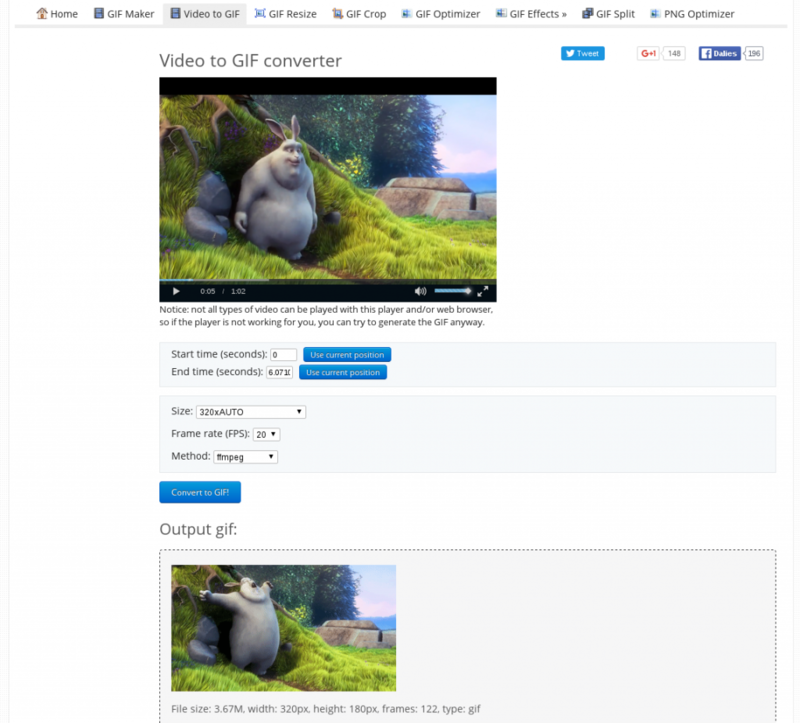 Making a GIF from video is even simpler. Just go to https://ezgif.com/video-to-gif and upload your video. Then you can use the player and stop the video at the points you want the GIF to start or end, and press the “Use current video position” accordingly. Then select required GIF size and click the blue “Convert” button. Wait a few seconds and the GIF will be generated. I recommend to use optimize tool for the newly created image, it will compress the image making file size smaller. I choose ezgif because it work’s great for me and has the largest file size limits of all GIF creators I could find, but if it’s not working for your needs, you can just google other Video to GIF converters, they all work very similarly.